If you’re looking to better serve your patients through the integration of acupuncture into your practice, the first step is to build a foundation. Start with our AA1 course – Foundations of Anatomical Acupuncture. During this 3-day in-classroom and 6-week online course, you’ll become familiar with the history of acupuncture, current research underlying its physiological mechanisms, and how the Meridian system works from the anatomical perspective. 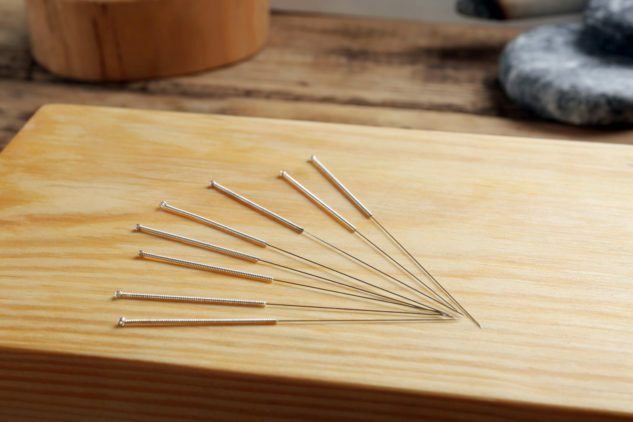 In addition to an in depth understanding of the theoretical underpinnings of acupuncture, AA1 equips you with the practical tools you need to locate and provide the rationale for effective acupuncture points for treatment of a variety of conditions. You will begin with a comparison of the basic concepts and theories of Anatomical and Classical Acupuncture. You’ll also learn to explain the theories of the mechanisms of action related to acupuncture and to assess your patient for acupuncture treatment within the scope of your practice. As you learn to formulate a treatment plan, a strong emphasis is placed on the identification of possible hazards, risk management, and safety. The course also teaches you to monitor treatment for patient reaction to needling and to identify hazards, complications and precautions for safe needling. You’ll also acquire the tools to clearly communicate a treatment plan, as well as the risks and benefits of acupuncture treatment to your patients. The identification of anatomical landmarks will enable you to reliably locate acupuncture points. By the end of the course, you’ll have learned to use specific needling techniques and practical clinical applications for 39 acupuncture points while learning to integrate acupuncture points into the treatment of conditions such as whiplash, frozen shoulder, back, hip, knee and foot pain. Finally, the application of your learning to case treatment plans will allow you to further synthesize a large body of theoretical and practical knowledge. When you complete the course, you’ll have a better understanding of acupuncture and be well on your way towards providing a better healthcare experience for your patients. Deadline to enroll is August 10th, 2018. To ensure your spot, sign up by clicking here. Student discount is offered for full-time, final-year students.